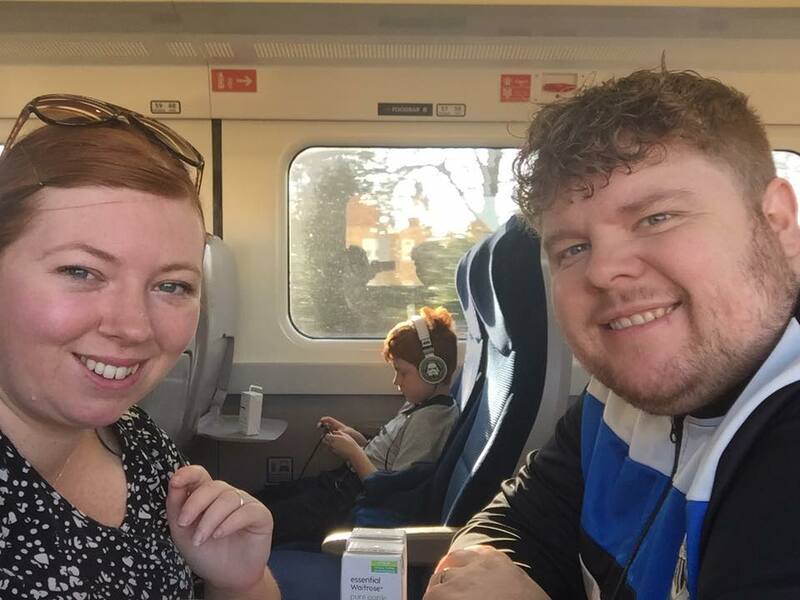 We have always loved travelling by train and over the past few years have enjoyed multiple family trips to London, York and Edinburgh with Virgin Trains on the east coast. We have a friends and family railcard which saves you lots of cash when travelling by train and are pleased to hear that Virgin Trains has just announced a special summer family promotion which offers 50% off family travel on selected routes between August 7 and September 10. Train travel has never been more appealing. I have put together a few tips for travelling by train with kids and my top reasons why travel is ‘better by train’ this summer. Like most kids, my three almost have a melt down when I tell them we’re visiting somewhere without WiFi. We have looked into buying WiFi for the car but it was going to work out £20 per month which is quite expensive I think. Virgin Trains offer complimentary WiFi in first class. 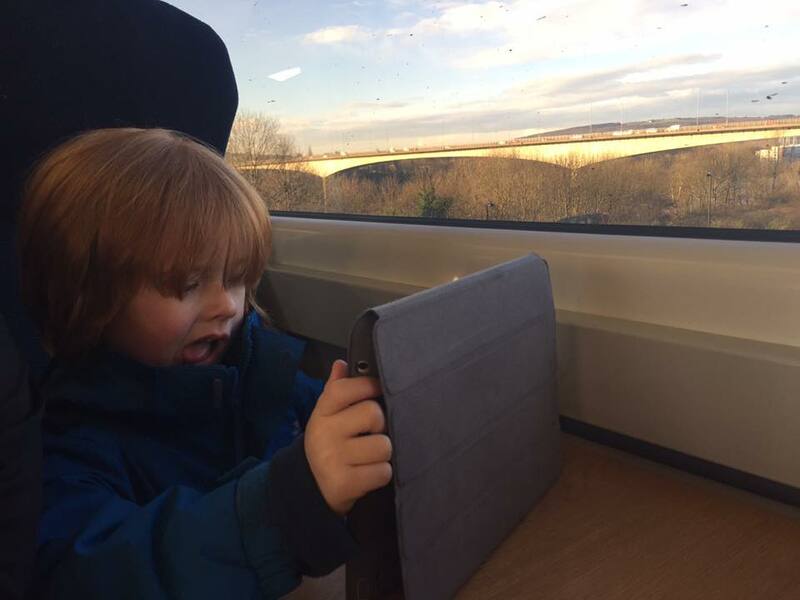 It's free in standard class too when you book direct at virgintrainseastcoast.com so kids can watch YouTube and play Pokemon Go to their hearts content. With the kids happy, it also means that us parents can happily browse Social Media, watch movies on Beam and check our emails in peace. Virgin Trains have the advantage of plug sockets too so you never need to worry about your children’s devices running out of power (we’ve all been there - it’s not pretty). I’m sure it’s not just my children who do this but when we travel by car you can guarantee the second we get stuck in traffic is the exact moment that one of them will pipe up they need the loo and then we end up super stressed and having to stop by the side of the road which isn’t ideal. I love that when travelling by train this stress is immediately eliminated and with multiple facilities on board, the kids can go whenever they need to. Driving around city centres is not the easiest of tasks. Our SatNav loves to send us on crazy diversions and frequently forgets to tell us about road works. During our glamping trip to Edinburgh this year we accidentally took a wrong turn which led to raised voices, raised stress levels and an additional journey time of 40 minutes. Not cool! With train travel all of this is eliminated. There’s no stressing about traffic jams, directions or SatNav battles! Top Tip: There are lots of family attractions within walking distance of most train stations. We love the National Rail Museum in York and Dynamic Earth in Edinburgh. Poor Steve is the main driver in our house. I love that travelling by train gives him a bit of a break too. He too can enjoy a hot cup of coffee or a glass of wine with lunch. It also means that I have an extra pair of hands to deal with the kids as he doesn’t need to focus on the road. Always helpful, especially when you have three kids like we do. Train travel is often perceived as being fairly expensive but there are ways you can reduce the cost. Check out Virgin Trains special family fares for summer on east coast routes which offer discounts of up to 50%. Check out www.virgintrainseastcoast.com/family-promo and enter offer code FM50 (t&c's apply). We managed a trip to London earlier this year for under £100 for the 5 of us. When you consider the rising cost of petrol, insurance, parking costs, road tolls and wear and tear, train travel is more often than not the better value way to travel from A to B.
Virgin Trains have recently conducted a survey amongst 2000 parents and discovered that families travelling by car are likely to argue about everything from who sits in the middle seat to whether the window should be up or down and what is played on the radio. I agree that travel by train is certainly a better option for families this summer and far less likely to cause arguments. Let me know if you have any top tips for travelling by train this summer or if you have had any bad experiences travelling by car with kids. We went via Virgin train to Edinburgh recently and it was so much more relaxing, and quicker, than going by car. And we could both appreciate the gorgeous scenery, rather than one of us having to concentrate on the road. The only downside was the free wifi - I couldn't find the code at all, and the kids were super excited to use the Beam app that I was all prepared with (and had stupidly told them about...) oh well!! Getting the train to York is so much easier than driving.